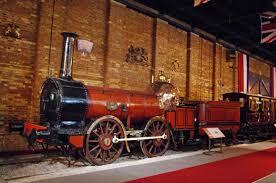 Come and hear Graham talk about the very early railways. This is part 2 of his series of talks about ‘Life Before the Combustion Engine’. Last year he told us about some very early forms of water transport and now moves on to talk about railways. Join us in The Lewis Carroll Centre at 7pm for a cup of tea and cake (or biscuits) and the talk will start promptly at 7.30pm. Membership of DDHG costs £15 per year, giving free entry to all our events, plus those of Preston Brook History Group. Visitors are very welcome – we charge £3.